I have a problem. I hoard things. I don’t collect random knick knacks and all my nostalgic stuff consists of slam books, letters and diaries. These I keep in two cardboard boxes marked with “ZARINE’S STUFF DO NOT OPEN” written across the front. The boxes safely reside in Chennai, perched above an antique cupboard in my room. I unbox them every time I’m at home, relive those memories for a few moments and pack them up again. Those few moments are enough to tide me over for a year. What I hoard are pretty things. Notebooks, shoes, clothes and scarves. I buy pretty things with the intent of wearing them but I hoard them while I wait for the “perfect” occasion. This has caused me to buy stacks of pretty clothes that never see the light of day because no occasion seems “perfect”. I have a gorgeous, purple colored, Kashmiri embroidered jacket. While buying it I was ecstatic at the prospect of wearing it. Since that day five birthdays have come and gone. Anniversaries, special dinners, festivals, but none of these matched up to the “perfect” occasion that I created in my head. I possess a number of beautifully designed notebooks that scream to be written in. Rolls of silk scarves are piled on top of each other, each anticipating a perfect outfit. 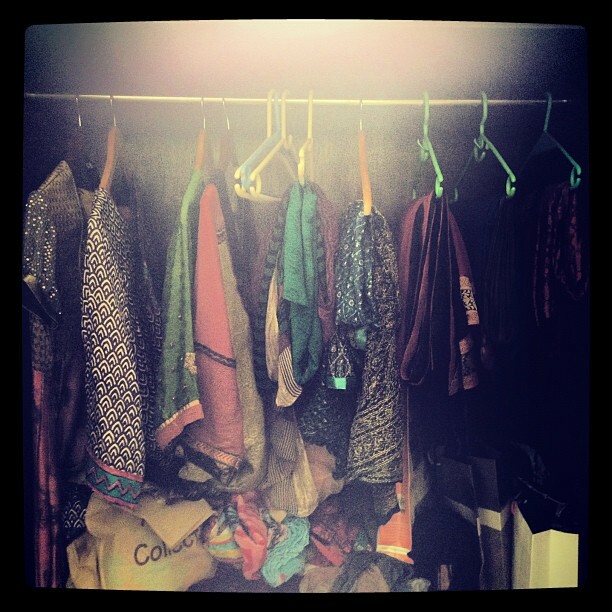 Exquisite kurtas wrapped in delicate tissue paper sit in my closet waiting to be worn, waiting to create memories in. But lately I’ve realized that the most imperfect occasions create the best memories. That “perfect” occasion in my head will never materialize because my expectations far surpasses the reality of it. And funnily enough the reality is a million times better than my expectation. Now, I’ve promised myself that I will wear the clothes I want to and write in all my books even if it is just a sentence. I will use my pretty things to make memories even on the most ordinary days and years later, when I come across these things I will see them for what they are- not just “pretty” things but memories. As for my purple jacket, she still hangs in my closet in quiet anticipation. Little does she know the plans I have for her. Growing up, all I ever wanted was a room of my own. We lived in a two bedroom apartment for the longest time. I never had a room of my own. The general area of the house was my refuge. I kept myself busy during drowsy afternoons but I wanted a room I could escape to. I watched a lot of teenage dramas and I was itching to ‘bang the door shut in anger’. But my wish never came true until I was sixteen. Once we moved house and I got a room of my own, I never wanted to come out. 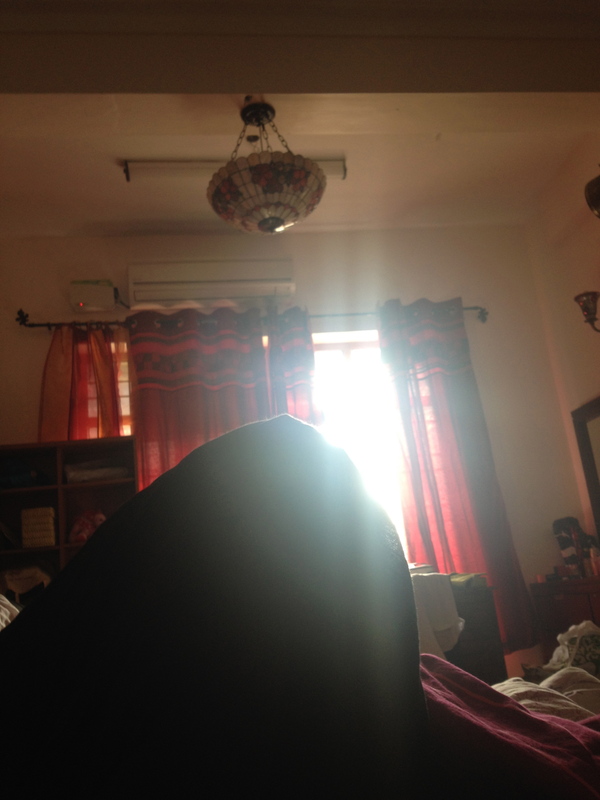 My room was my solace. It was my protection from the big bad world outside. I filled that room with my dreams and my pains. The walls speak of my heartaches. The floor absorbed my tears and the high ceilings accommodated my dreams. My room watched me grow from a naive sixteen year old to a… well, what I am now. The crazy thing is I always thought that my room would never change, it would remain the same, always my protection from the outside world. But when I went back this time I felt disoriented. It felt like my room had changed. My once comfortable bed that held my body shape now hit me like a rock. I felt weird and uncomfortable like I was living another life. Every night when I went to bed I couldn’t help but think about the room I left back in California. I missed my bed and my fluffy comforter. When my mind started associating that with home was when I realized, much to my dismay, my solace was where I had stayed for the past year. This realization hurt my heart like crazy. For days I kept thinking my mother had moved my things and my room had changed whereas in reality it was I who had changed. I had been living away from my previous life and walking back in to it sent my senses in to disarray. Today, as much as I miss my room I know that the girl who lived there was a slightly different one. She was confused and naive, among other things but she always had hope. I wouldn’t change a thing about that girl, or the room for that matter (trust me, there were quite a few things that needed to be changed). That girl and that room helped me appreciate the person I am now.